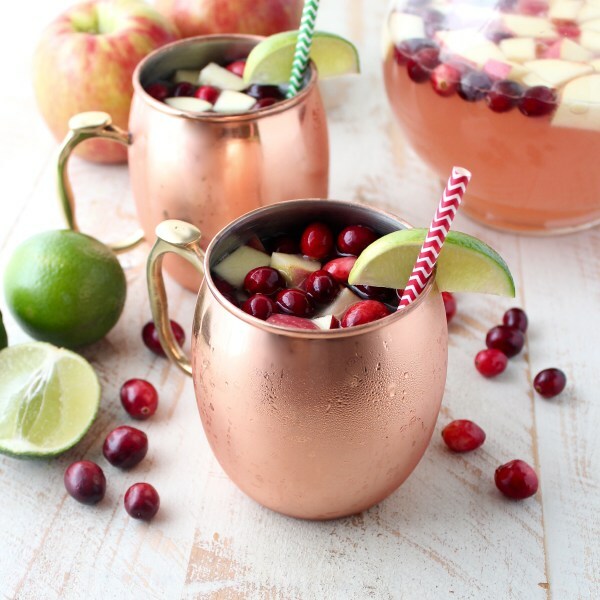 Add the vodka, cranberry apple juice, lime juice and Bundaberg Ginger Beer in a large pitcher/ jug. Add fresh cranberries and apples. Add ice to mugs and pour to serve immediately, or chill in the refrigerator until ready to serve.